These days our success as professional photographers seems to depend less on our artistic talent, and more on our ability to market our businesses well. It’s with this in mind that I created this post on online marketing for photographers. Marketing for photographers has always been very important, whether using the Internet to find your next client, or by more traditional offline methods. Today, we are fortunate enough to have access to an array of online marketing tools and techniques which we can use to our advantage. Online marketing consists of various strategies, including search engine optimisation, social media marketing, content marketing, email marketing and more. All of these things can have a huge impact on your photography business. Through a lot of experimentation I’m finally having success with lead generation for my photography work. The techniques I’m using are all detailed in More Brides. As online marketing is such a huge topic, I’ve chosen to focus on a small handful of online marketing techniques for photographers in this post. I’ll be pulling examples from various photographers’ websites, my own website, and even from this Shotkit blog. As a side-note, you’ll obviously need your own website to be able to implement these techniques – check out my guide on how to start a photography blog to get your site online within 15 minutes. If you’re interested in learning ways to use SEO for Photographers and many other Internet marketing techniques to grow your photography business, check out More Brides, a product aimed at wedding photographers but useful for all photographers who want to rapidly grow their business. The primary goal of online marketing for photographers is usually to market your services as a photographer. To achieve this goal, you need to have ‘leads’, i.e. potential clients. ‘Leads’ can just mean people you meet, but since we’re dealing with online marketing here, leads equals email addresses. The process of getting these email addresses is known as lead generation. One effective way to collect new leads is via an online gallery software such as Shoot Proof. Read how to set this up here. Unless a visitor to your website is intent on contacting you, he or she will leave your site, potentially to never return. This is why it’s important to capture the lead, giving you the option to market to the lead in the future. Having a lead is like having a second chance to convert someone into your client. The most basic lead generation tool is a ‘lead capture form’ placed on your photography website. This consists of a space (usually a sidebar widget) that asks website visitors to enter their name and/or email address. Obviously you need to give the website visitor a reason to enter their email address. The most basic lead capture forms offer a newsletter in exchange for an email address. Depending on the quality of your website content and the amount of traffic you receive, this approach is usually rather ineffective. Put yourself in the website visitor’s shoes – are you really offering them any good reason to subscribe to your photography website, other than to look at the odd blog post each month? 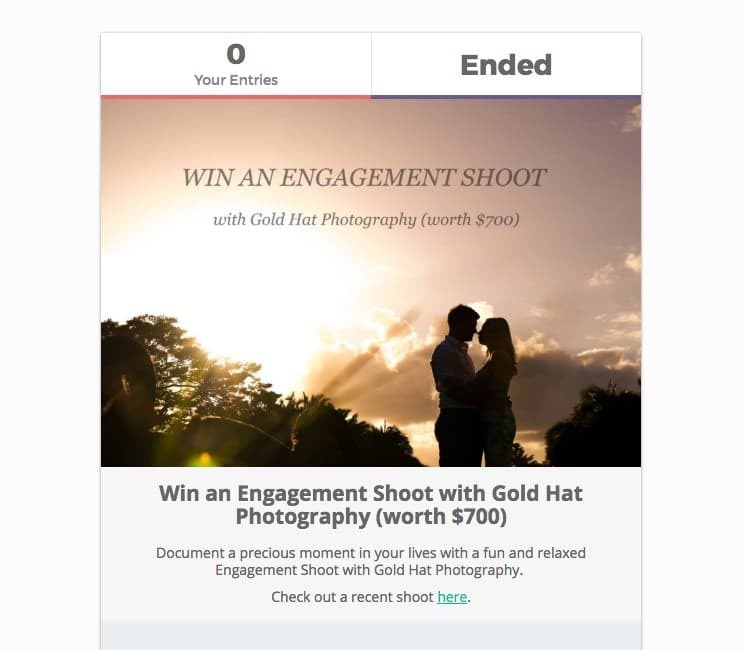 Even if you’re providing great content that’s over and above the regular photographer, simply offering your visitors the chance to receive a newsletter isn’t particularly alluring. Enter the lead magnet. A ‘lead magnet’ is designed to attract a lead, enticing them to enter their email address in exchange for something of (perceived) value. If preparing content to create a lead magnet seems like too much work, another great technique to generate more leads is via a giveaway. You could offer a free portrait session, or a free album as the prize perhaps. Once you can measure the return on investment of your giveaway (i.e. how much you earn vs how much you spend), you can even start buying products with the sole intent of giving them away. 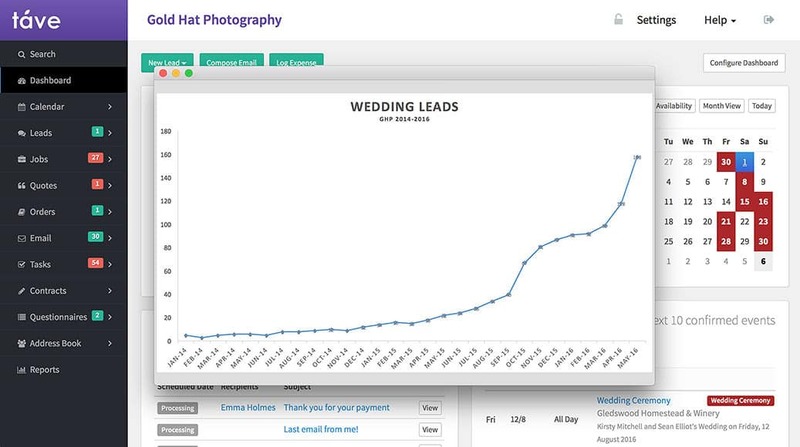 You may find that spending $500 on a camera to give away is worth it for the thousands of dollars worth of weddings you book via the new leads generated. No matter what you choose as your prize, I recommend the giveaway tool Gleam. Gleam allows you to encourage the user to complete various actions to earn more entries. I use it for the monthly giveaways here on Shotkit. Running this giveaway via Gleam allowed me to generate lots of new leads for my photography business as well as grow my Instagram audience. 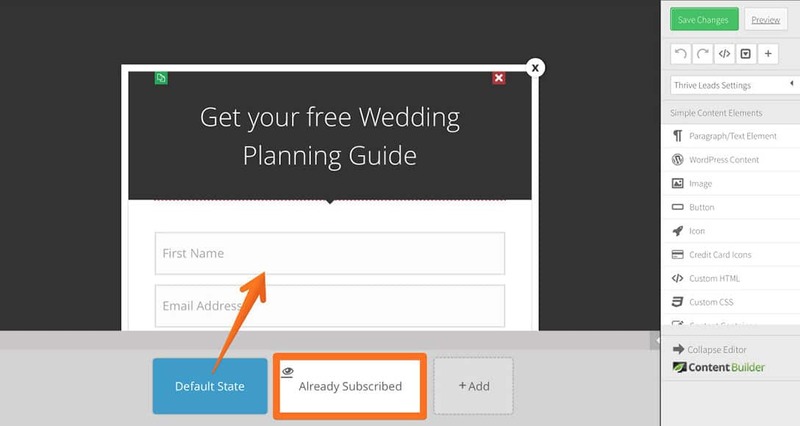 Setting up Gleam for the first time can be a little daunting, but I explain the exact steps to set up an effective giveaway which can generate hundreds of leads whilst growing your social media audiences in More Brides. I also show you a sneaky way to bypass Facebook’s Like gating rules to encourage users to Like your photography business page in exchange for an entry into the giveaway. 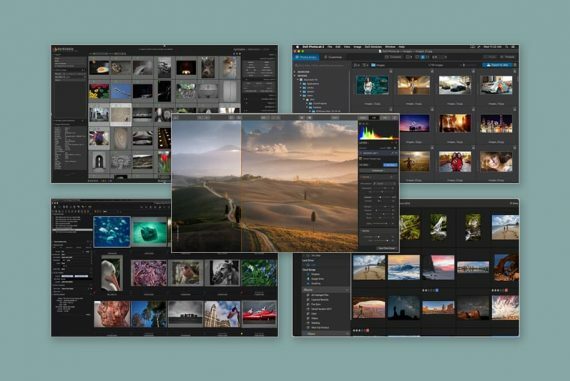 Now that we have given your visitor a reason to enter their email address, the next step in online marketing for photographers is lead capture. As mentioned above, the most basic lead capture method is the humble sidebar sign up form widget. If you’re using a WordPress site (see my guide on how to build a WordPress site), adding a side bar widget is simple. However, not all photographers want a sidebar on their website. Another basic option is to include the lead capture form in your blog post content, most often above the footer of each post. These two methods are fine, but they’re also rather ineffective too. After all, the majority of blogs you’ll come across will have sign up forms in these locations too, and you’ve no doubt become blind to them. Your website visitors will probably not notice them either. One way to quickly test exactly where your visitors are clicking on your site is to use a Heat Map. Sumo Me offers the best free Heat Mapping tool I’ve used, and it can help you decide on new placement, wording, colours and other factors that may affect your conversion rates. I noticedthat no one was clicking ‘Newsletter’ in my menu bar, so I changed the wording to JOIN. If you’d like to learn how to capture more leads using your website, I explain some simple but powerful techniques in More Brides. Here are some other ways to display your sign up forms and other messages on your photography site. Also known as welcome bars, ribbons and smart bars, the header bar is a ‘sticky’ strip that sits at the top or the bottom of your webpage. It stays in place when the user scrolls down your page, meaning it’s always visible. There are several free tools for you to create a header bar. I’ve tested Sumo Me, Thrive Leads and others, but have settled on a tool called Hello Bar, which is the best in my opinion. You can often see see me using one here on Shotkit. 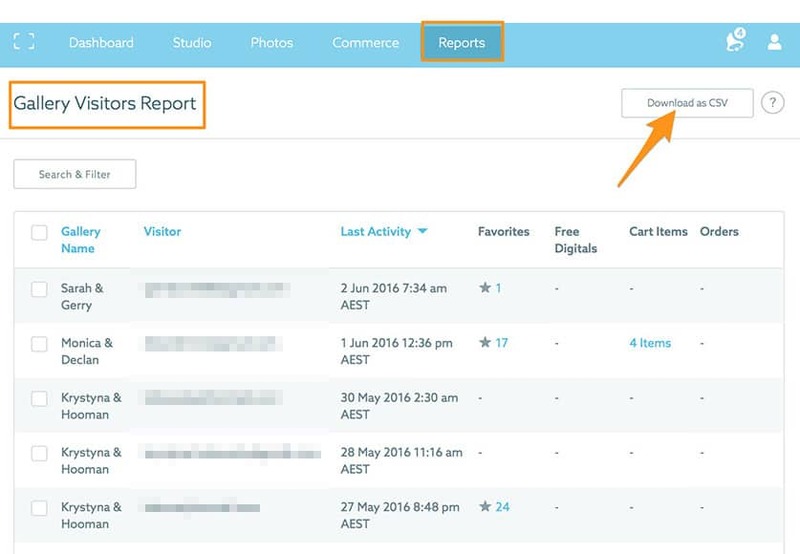 Hello Bar allows you to create an attractive lead capture form very easily. You also have the option to use Hello Bar to display a message, or even a Facebook Like button. Pop ups are messages that appear when you visit certain websites, obscuring the content beneath them. 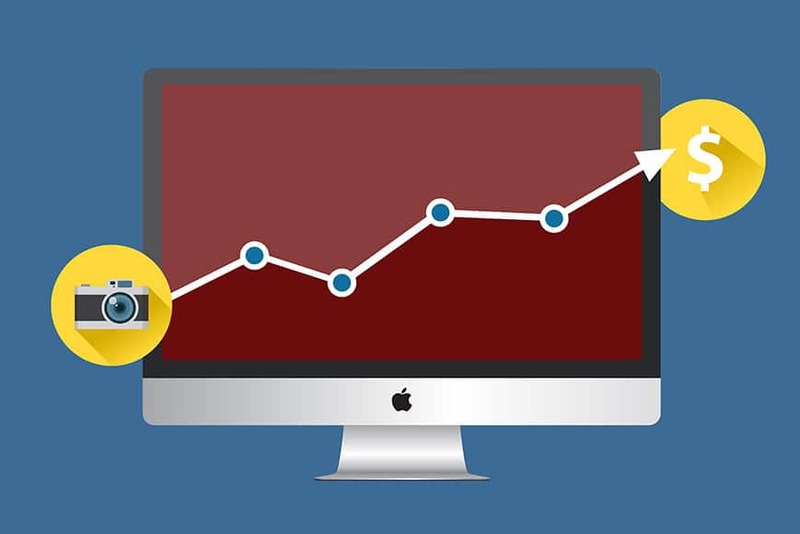 Pop ups are a sensitive topic among online marketers since they can cause annoyance to website visitors, but one thing’s for sure – done well, pop ups can really help with your lead generation. 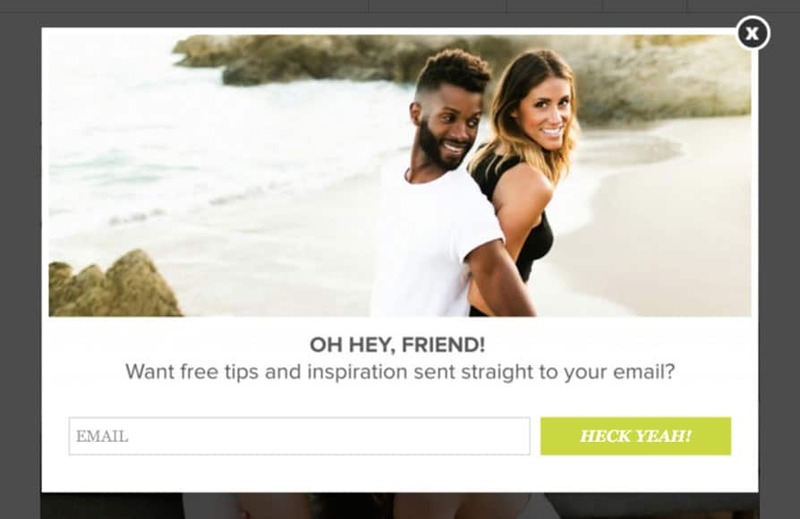 I’d advise you to use pop ups with caution on your photography website. A worst case scenario would be scaring off a potential client, so you need to be sure that whatever your pop up is offering is genuinely useful to your website visitor. Pop ups also to load quickly and be beautifully designed, in keeping with the rest of your branding, otherwise it will resemble spam. The pop up on Ben Sasso’s site is in keeping with his branding. I’d also advise you to only show your pop up once to each visitor. I use an excellent WordPress plugin called Thrive Leads which allows me to do this. Even better, Thrive Leads allows me to only show the pop up (and all other sign up forms) to users who haven’t entered their email address. This is a great feature, and it means that I don’t annoy anyone who has already claimed whatever it is I’m offering by showing the same message over and over. Thrive Leads also allows me to show a completely different message to my ‘subscribers’ than the one I show to visitors who haven’t yet provided an email address. The Thrive Leads ‘Already Subscribed’ state allows you to create a custom message for your subscribers, or simply show nothing at all. Again, there are many pop up tools available, but I highly recommend Thrive Leads for this task. If you’re after a free option to test the waters, SumoMe is good, but rather limited when compared to Thrive Leads. The timing of your pop up is another sensitive topic. Pop ups can be triggered when a user enters your site; spends X amount of time on a page; scrolls to X% of a post, tries to exit your site… there are many variables for you to test, and thank fully Thrive Leads makes this easy. Then there’s the ‘multi-step’ opt in form pop up which only appears when the user clicks some text or a button. The psychology behind this suggests that the user is more likely to continue with an action if he/she has completed one voluntary action immediately before. When discussing landing pages within the realm of online marketing for photographers, a landing page is a standalone web page separate from your main photography website, that has been designed for a single focused objective – collecting leads. Landing pages are usually used in conjunction with advertising campaigns, such as Facebook ads. I discuss the set up of a complete Facebook ad campaign including the use of a targeted landing page to book destination weddings in More Brides. For the purposes of this post though, I’ll assume you know what you’re doing, and just say that a landing page can be hugely beneficial to your online marketing efforts. 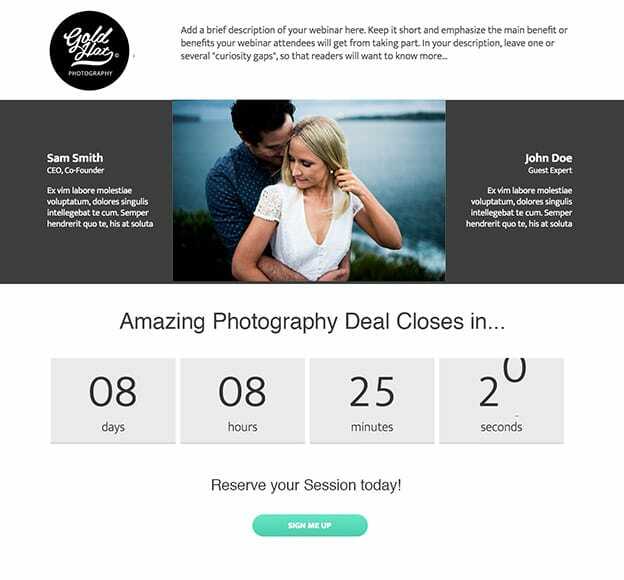 Example of a landing page created in Thrive Landing Pages in a couple of minutes. Separating your landing page from the distractions of the rest of your site is an effective way to focus the visitor’s attention, guiding them to your call to action (i.e. your “contact me” button). I haven’t come across any decent landing page tools that are free. If you’re willing to invest some money into it though, I recommend the Thrive Landing Pages plugin, which is simple to use and provides many pre-made templates. Thrive Landing Pages offers 149 templates, but the majority of them are quite salesy. Luckily you can edit them to suit your photography business’ branding. I’ve only scratched the surface of the topic of online marketing for photographers. Search engine optimisation, content marketing, retargeting, social media marketing, email marketing and much more – they’re all big topics with so much potential to help grow your photography business. I have lots more advice on both online and offline marketing techniques for photographers, so if you’re interested in gaining more leads to grow your online business, be sure to check out More Brides where I go into much more detail. 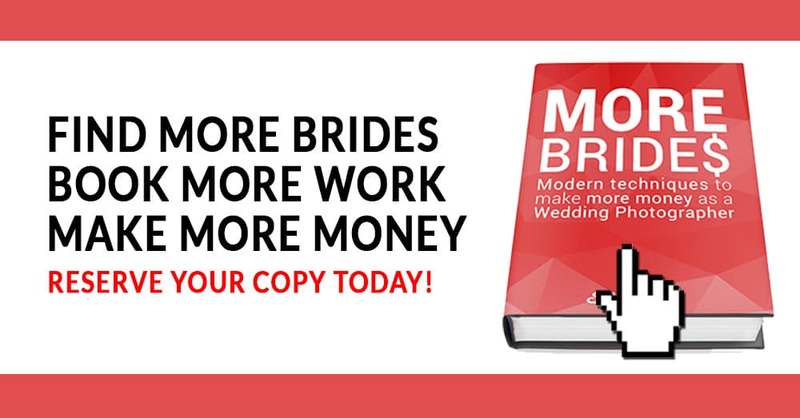 More Brides is 180 pages of tactics and tips to book more weddings. Advice on SEO, social media and other online practices are also useful to other genres of photographer wishing to rapidly grow their business. I’ve tried to keep More Brides as non-technical as possible, whilst cramming it with all my know-how from 7+ years of experience in the online marketing industry, as well as things I’ve learned from world-class photographers and marketers. Most importantly, the techniques included in More Brides are those which are having the biggest impact on my own wedding photography business. Through a lot of experimentation I’m finally getting results with lead generation for my photography work. The techniques I’m using are all detailed in More Brides. Through a lot of trial and error, I’ve implemented the most effective out-of-the-box techniques that consistently attract more photography leads, and I’m confident that they will work for you too. 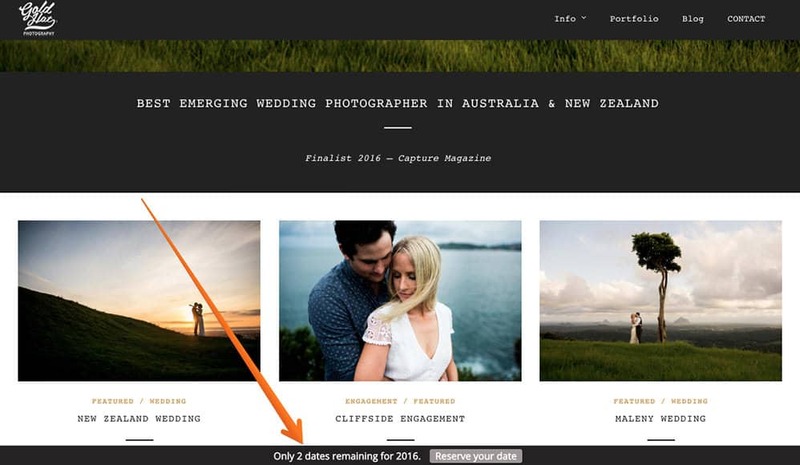 Whether you decide to purchase a copy of More Brides or not, I hope this post on online marketing for photographers has given you something to think about. Leave us a comment with your best tips on online marketing for photographers below, and I wish you the best of luck in booking your next client! 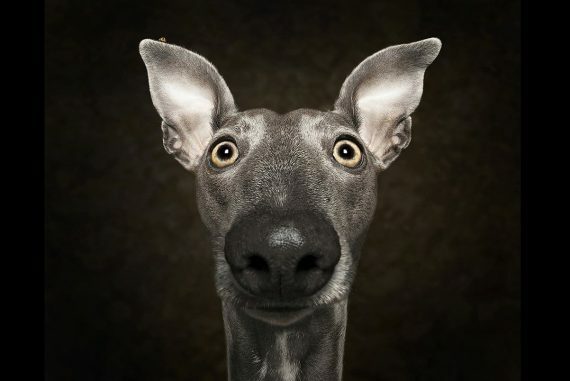 Hi, Mark, thats all very interesting – but what about photographers that want to increase their business, but don’t want to offer give aways on their site, PDF’s, or other ‘advice’ that may, or may not be directly linked to potential clients? Also, website visitors are ‘global’. What is the point of capturing someone’s email address if they live in a different state, or country? Unless of course you are trying to sell a PDF for example? Thanks. Some awesome tips and recommendations for plug-ins etc. Especially as it’s tax deductible! I see how effectively you use your own advice. Well done. I’m buying your book. ha. haha I hope I don’t come across as too slimy! :p Thanks for your support, Beth. Great article Mark, thanks for sharing.